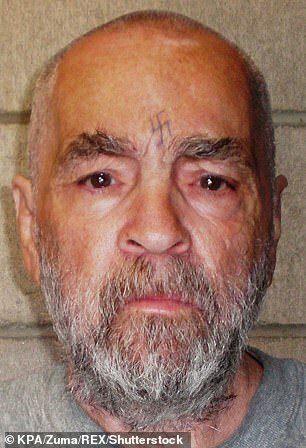 Charles Manson’s second in command is now living on a quiet residential street in Upstate New York with her ex-con boyfriend where she ‘happily walks her small dog’, it’s been revealed. 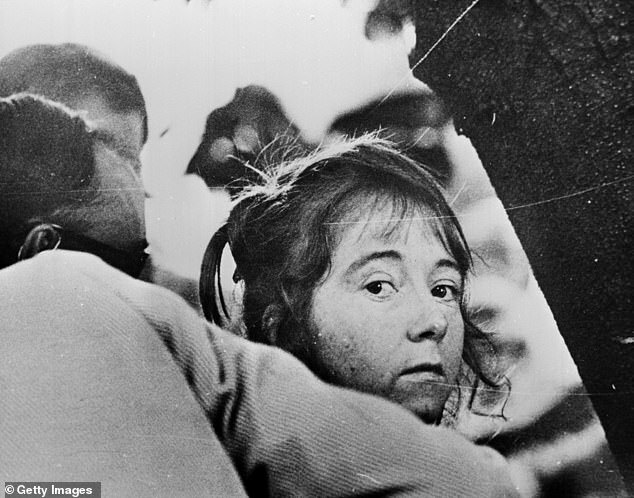 Lynette ‘Squeaky’ Fromme helped run the murderous Manson Family cult that slaughtered five people – including Hollywood actress Sharon Tate – in Los Angeles in 1969. 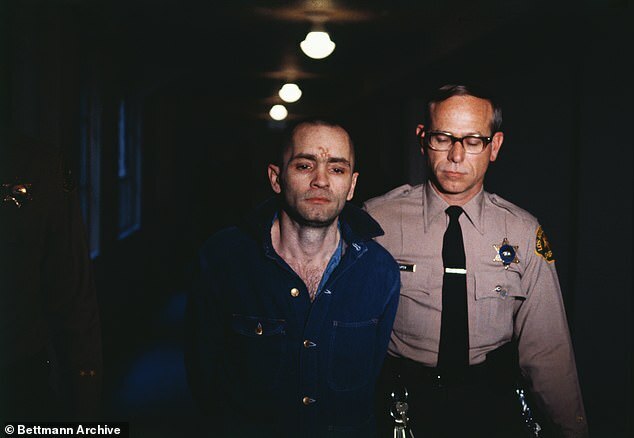 The now 71-year-old was never charged in connection with the murders, but she remained a devoted disciple who refused to testify at the murder trials, carved an X into her forehead in protest and lived in squalor with 100 others who believed Manson was a manifestation of Jesus. 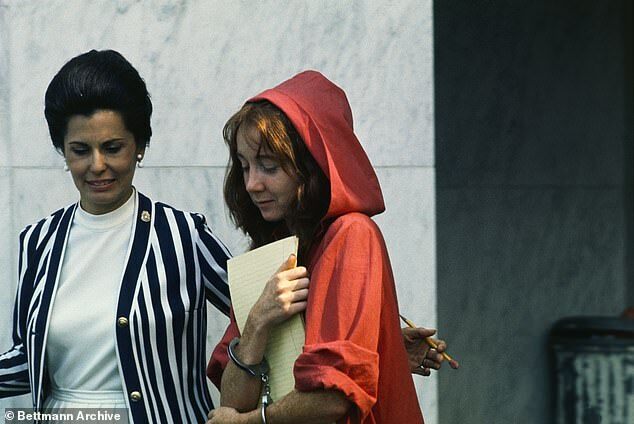 Prosecutor Vincent Bugliosi, who went on to write about a detailed account about the crimes and trial in Helter Skelter, described Fromme as ‘the main gal in the Family’. ‘Once Manson left the ranch, if he was anywhere else, she was in charge,’ he wrote. Yet now, living in the small town of Marcy, Fromme is described by neighbors as a nice, quiet woman who if often seen walking her dog. Fromme moved in with her ex-con boyfriend Robert Valdner five years ago. Valdner, 68, was jailed for manslaughter in 1988 for the fatal shooting of his brother-in-law. 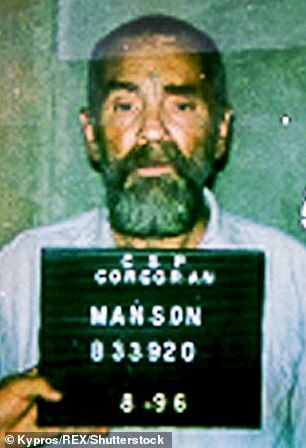 He is thought to be a Charles Manson fanatic who contacted Fromme while they were both locked up in 1992. 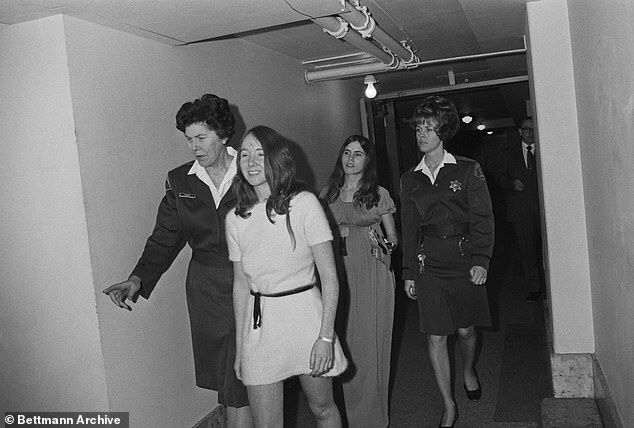 Fromme had been incarcerated for the attempted assassination of President Gerald Ford in 1975 in the California State Capitol Park Building in Sacramento. She stormed the parking lot in a draped in a red robe with a Colt .45 semi-automatic pistol and pointed it at the president. The pistol’s magazine was loaded with four rounds, but there was no round in the chamber. When she pointed the gun at Ford she was immediately restrained by Secret Service agent. As she was handcuffed she emphasized that the gun ‘didn’t go off’. Fromme said she had deliberately ejected the round from her weapon’s chamber before leaving home that morning, and investigators found the round on her bathroom floor. During her trial she would need to be carried to the courthouse on days she refused to walk – and during closing arguments, she launched an apple at the prosecutor’s face. 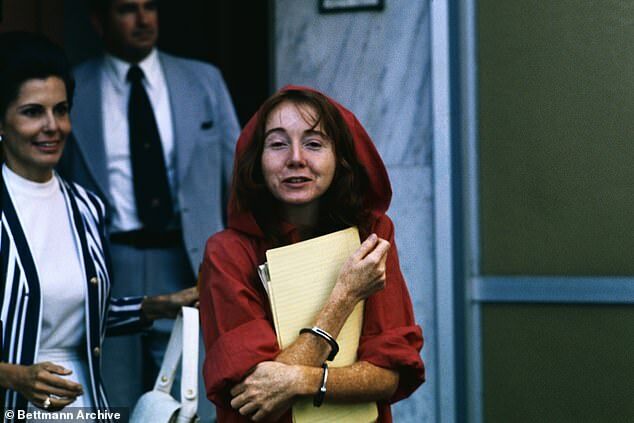 The Manson fanatic was given life, but escaped from federal prison in West Virginia on December 23 1987 to try visit her cult leader, who had been diagnosed with cancer. She was released in August 2009 after serving nearly 34 years. Despite her past, a third neighbor said Fromme and her boyfriend ‘had never caused any trouble’. Last year, Fromme published her memoir Reflection, which she started writing in 1973. In it, she details how she was recruited by Manson at the age of 18 while living homeless in Venice Beach. She had been performer all of her life. By the time she was ten she had joined the Westchester Lariats, a popular Los Angeles-based touring group that did shows on TV and at the White House. She was a straight A pupil at Orville Wright Junior High School, where she took drama classes for about two years. But for reasons not disclosed in her memoir, she was kicked out of her home by her father. 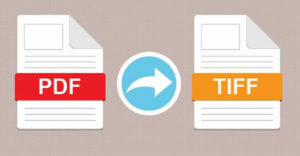 It has been suggested in other biographies that she’d been sexually abused by him – but she has always denied that claim. Fromme was exactly the type of girl Manson could recruit and brainwash – young, impressionable and vulnerable. It took just one five-minute conversation to convince Fromme to follow Manson and join his ‘family’. 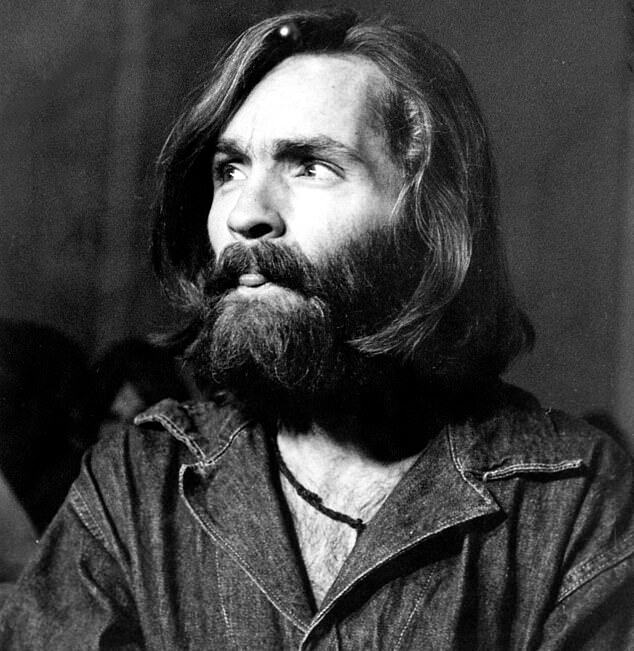 The memoir largely fawns over Manson and makes no mention of the more sinister aspects of the cult. In August 1969, Manson orchestrated killing spree that saw members of Manson’s hippie cult invade homes in Los Angeles’ upmarket Benedict Canyon and Los Feliz neighborhoods, brutally killing all inside. Among the nine victims was actress Sharon Tate, just 26 years old and eight months pregnant. At trial it emerged she had begged for the life of her unborn baby only to be stabbed and hung from a rafter. Other victims who died in Tate’s Benedict Canyon home on the night of August 9, 1969, included hairdresser Jay Sebring, screenwriter Wojciech Frykowski, and coffee heiress Abigail Folger.